Do you feel discouraged, and often defeated in your business? Are you unclear about your direction and purpose? Do you have TONS of ideas but are not sure which ones to pursue? Do you worry that you are not staying true to yourself and making the difference you want to make in others? Are you struggling to connect with your niche market or ideal clients? Friend, if you are HERE...you are sitting in the right place. My name is Ariane, and I am a Psychologist and Intuitive Business Mentor...and here to walk with you and beside you as you go from "thinking about" to "feeling" to "becoming"...in business and in life. YOU ARE HERE...BECAUSE YOU KNOW YOU ARE MEANT TO DO MORE. SEE MORE. BECOME MORE. Many of my clients are already successful...they are accomplished, creative professionals within their respective fields. They are also full-time moms...trying to balance life and work, feeling pressure to do it all and "be all" to everyone. YOU ARE READY TO DO SOMETHING DIFFERENT...you know you can do more and have felt an energy inside telling you it is time...but something has also held you back. Friend, I am here to walk beside you as you pursue your passion, encouraging you and building your confidence so you can push through negative voices and resistant energy and open the path for YOU to take ownership of the space and path that is meant for you. YOU NEED TO SHARE YOUR VOICE AND UNIQUE GIFT. I have my doctorate in psychology...and while this fosters some of my knowledge about human and consumer behavior, I am also a learner-in-progress...in the way our culture is constantly changing, in the way media and social media is utilized, and in the way that we can convey what we are thinking and feeling to those around us, including those that we are trying to serve and impact. 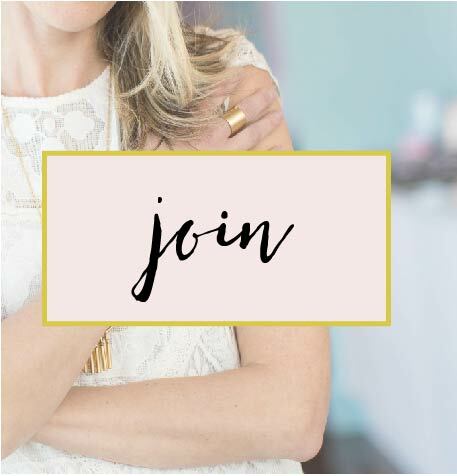 I have received a lot of emails from women — moms, colleagues, and friends — who want to learn how to start a business, how to positively influence those around them, how to develop confidence to succeed and persevere, how to foster both goal-directed and graceful actions when trying to meet personal expectations , and how to trust their intuition when they need to make decisions in their work. It was in these conversations that my identity as a 'Therapist for your Business' evolved...and it is an honor and JOY to bring this enthusiasm to your vision for the future that best serves you (and those that you hope to impact)! WHAT DO YOU RECEIVE FROM MY MENTORSHIP PROGRAMS? a teammate, a cheerleader, an encourager, a brain-stormer, and a person that will (excitedly) walk with you each step of your process! I will be the first person to tell you that I was EXTREMELY hesitant to 'hire' a mentor for my business. I thought that I was an independent person who can figure things out on my own. I also think our culture makes us feel like there is something wrong with us (at times) if we seek out help, so if you 'need' to hire someone to help you, you have somehow failed because you could not do it on your own. Both of these sentiments are not only untrue, but often hold us back from our potential. I definitely recognized my mentor as an asset and as soon as I personally invested in myself and my business, my intentions became REALIZED. And friend, the same can be true for you! To help you learn more, I created a guide of important factors you need to consider prior to hiring your mentor. To view free guide, please click HERE. If you read through this information and still have any lingering questions...please reach out to me via e-mail at: ariane.machin@gmail.com or schedule a free 30-minute chat! Click on the button below and use 'free consultation chat'...I am excited to speak with you!